Choosing presents for kids can be tricky and is probably something you dread. 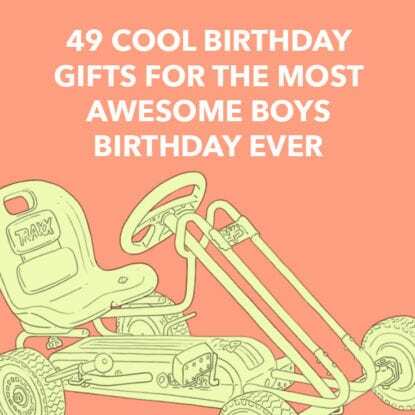 We’re hoping that we’ve made life a bit easier for you though, with this list of personalized gifts for boys. It’s filled with some amazing present ideas which aren’t just fun but also feel more personal because you’ve taken the time to add their name to it. 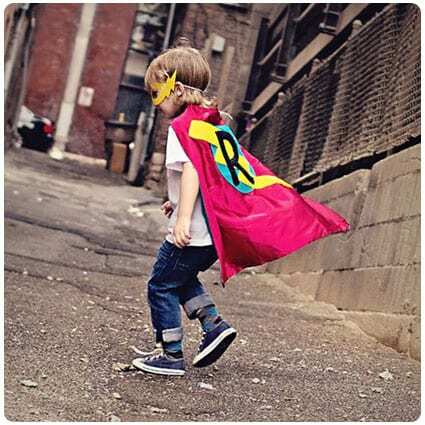 Every little boy loves superheroes, the action and thrill of a comic book amazes them. 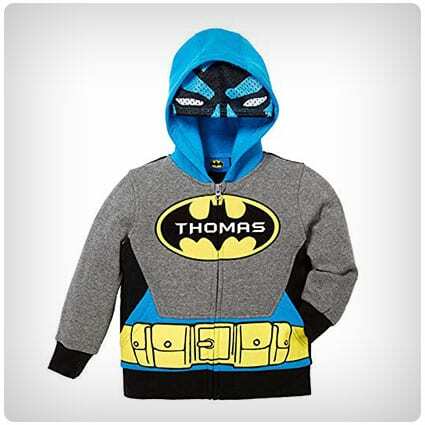 With this personalized hoodie, they’ll feel as though they’re wandering the streets of Gotham alongside Batman. With their name emblazoned across their chest, everyone will know what to call the half-sized hero who saved them. 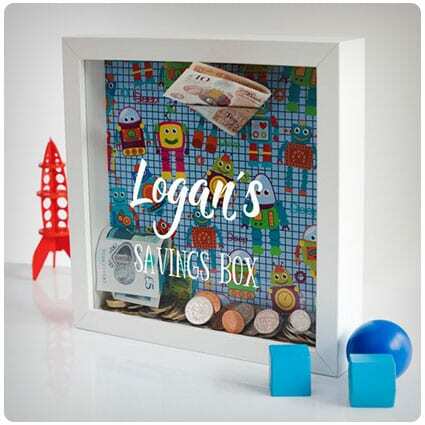 Learning how to manage money is something we should all teach our children, and your little man will love this personalized robot themed money box. Super eye catching thanks to the awesome bright colors, he’ll be able to see every coin and note he’s put in it. If your son is a gamer, you’ll both be all too familiar with the popular game Minecraft. This 3D looking banner will be a great addition to his room – especially if it’s already gamer themed – and, because it can be personalized, he’ll love it even more. It doesn’t matter what activity he’s into, this sweatshirt can be personalized with 14 different sports as well as his name. Choose from hockey, soccer, wrestling, and track and field, as well as many others, which will appear above his name or nickname. You have the power to make this sweatshirt 100% his. LEGO is an amazing toy – it can be used to improve so many skills such as their imagination or even color recognition and counting. 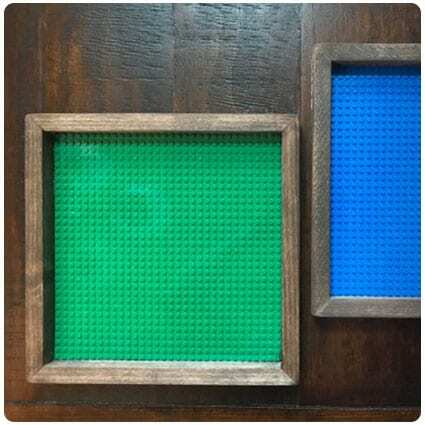 With this personalized LEGO board, they’ll always have somewhere to store and build their precious bricks so you won’t end up standing on any! Forgetful boys will be able to keep all their gym kit in this drawstring bag and take it to school with them, without fear of it being lost. Thanks to the name which you can have embroidered across the front, his kit will stay his, and Mom won’t have to keep replacing it. Dinosaurs are huge among little boys, most of them will have a phase where they’re dino mad. 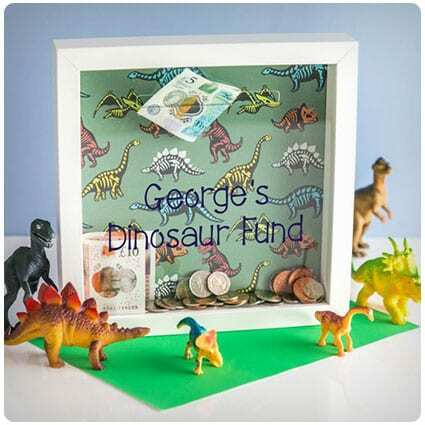 This personalized money box is a great way to introduce them to saving and managing their money as the dinosaur theme will grab their attention and get them interested straight away. Getting kids to bed can be a hassle – they need their sleep to be happy the next day, but they don’t always seem to understand that. 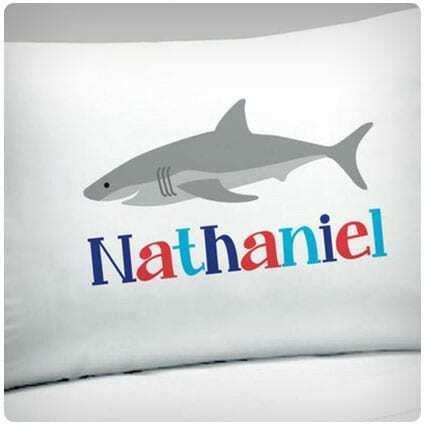 You’ll find that bedtime is a lot easier when they have this personalized shark pillowcase on their bed; he’ll love snuggling up on it, and bedtime will go swimmingly. 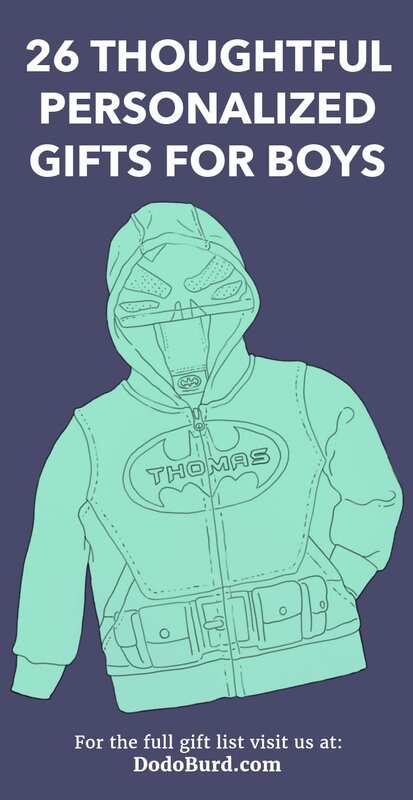 Every kid needs a dressing up box, and every dressing up box needs a superhero cape inside. You’ll be able to choose from three different colorways as well as adding your little man’s initial so he’ll feel super while wearing it. Make him a mask to complete his outfit and he’ll never wear anything else. When you’re looking for personalized gifts for boys, this gorgeous fleece blanket should be top of your list. 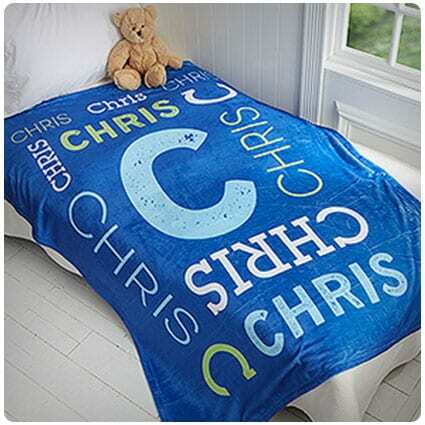 You can choose from four colors so it’ll match any themed room, and you can add your son’s name and initial so he’s sure that no one else can use his special blanket. Birthdays need to be celebrated, whether it’s his first or twenty first! 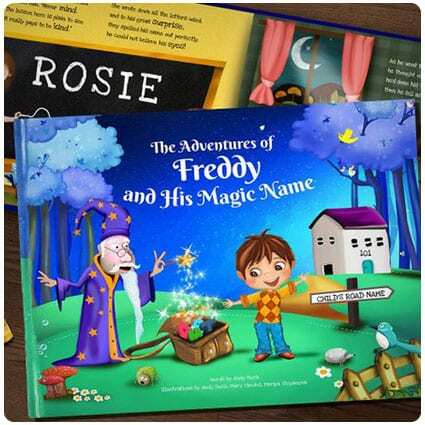 This entirely unique personalized book is a great gift to give to your special little man. He’s the star of the book and the story is based on the letters which make up his awesome name. Kids need large backpacks to take to school with them to carry everything they need for that day. 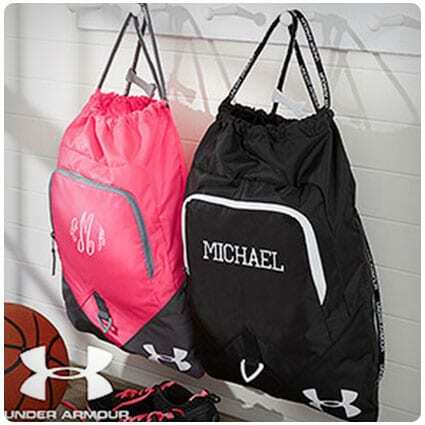 This Under Armour backpack isn’t just roomy, you can also have your child’s name, initial or monogram embroided onto the front so they won’t lose their stuff again. Once kids start getting older and earning their pocket money, they need somewhere to store it when they’re out and about. Why not get him this camo style wallet which has room for his coins, notes and cards, as well as the option to have his name printed across the front. Perfect for weekends away with grandparents or a holiday with the family, this roll along personalized suitcase is perfect for holding everything he’ll need. His name can be embroided across the front in your choice of thread color and font style, so he’ll always know where to find his clean clothes and socks. In a world where plastic waste is being seriously scrutinized, we need more eco-friendly alternatives, especially for school lunches. This reusable sandwich bag is perfect, as it can store most snacks inside and you can have his name added to the front in your choice of font. Even small kids have secrets and treasures they want to keep safe from parents and siblings. 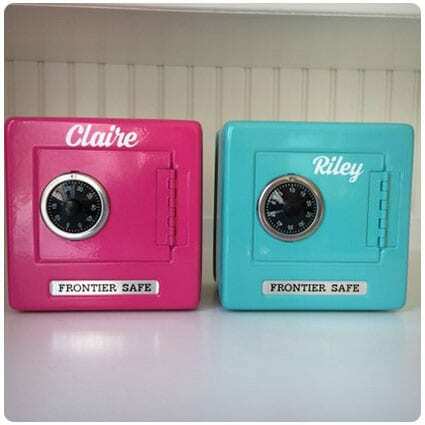 With this personalized safe, he’ll be able to keep all of his special items hidden from prying eyes, while the combination lock on the front makes it look like a real safe. 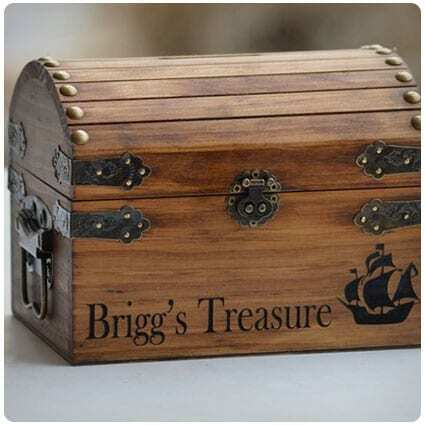 Give him somewhere to keep his gold coins and pirate treasure with this wooden chest. You’ll be able to choose the size of the box, and it can also be customized with his name so everyone will know to keep their hands off his bounty. The perfect addition to a pirate themed bedroom. Becoming a chef is a great career path to go down, and you can start him off with this apron. 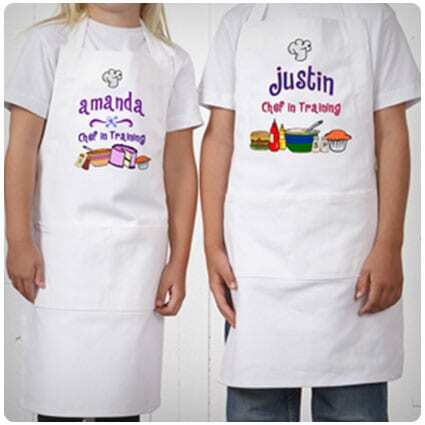 When you’re looking for personalized gifts for boys, something which will help them broaden their skills is perfect, and this 100% cotton apron will give them the encouragement to get cooking. Send him off to preschool with this adorable shark backpack which is big enough to fit everything he’ll need for a fun day. You can also have his name added to the side in your choice of color, so everything inside will be safe and he won’t lose anything while he’s there. With this 3D style wall decal, your son will be able to put his stamp on his bedroom and make it truly feel like it’s his own space. Perfect for a Minecraft themed room or simply a fan of the game, he’ll love seeing this on his wall every morning. On a PS4 controller, there’s an LED lightbar which reacts to certain games and actions. This customized decal is designed to go over that lightbar, so you can make it display your name or gamer-tag – it’s entirely up to you and it won’t affect the brightness or gameplay. When your child starts losing his teeth, he’ll need something to put them in for the Tooth Fairy to come and collect. With this personalized shark pillow, there’s a little pocket for his tooth to sit in, and with his name embroidered on the front, the Tooth Fairy will know exactly whose tooth she’s getting. Role playing games are really important for a child’s development, so it’s important to have a good dressing-up box for them to play with. 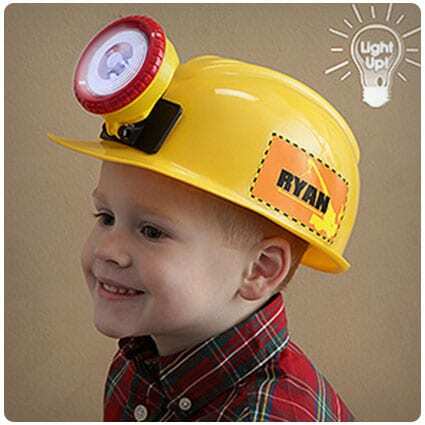 If your son loves all things construction, this named yellow hard hat will be a great addition to his games, while the torch on the top is the perfect finishing touch. Measure exactly how tall he is with this personalized growth chart. Seeing how fast our kids are growing is important (and bittersweet), but what you don’t want is pencil marks on the walls! This chart allows you to keep your walls mark-free, and, because it’s personalized, it makes a lovely keepsake as well. Do you get fed up with going into your son’s bedroom and finding everything he owns on the floor? This personalized coat rack will soon sort that mess out as he’ll be able to hang his schoolbag, coat, and sweatshirts on it and keep the floor clear. 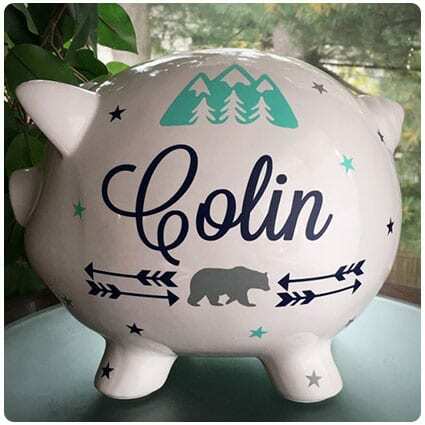 Whether you choose to give this as a baby shower gift or a birthday present, this adorable piggy bank is a great way for him to learn how to save. The super cute mountain and bear decoration ensures that it will look good anywhere, be it a nursery or a bedroom. Children love drawing and expressing their artistic side, but unless they have somewhere to store their crayons, they can end up getting broken or lost. Follow this online tutorial and you’ll soon be making a load of these personalized wooden crayon holders to keep them in. These pillowcases aren’t just good for kids, you could make them for every member of your family, give them to friends as gifts, or make some when you know you’re having people to stay. This online tutorial is really easy to follow and you’ll be churning them out in no time. 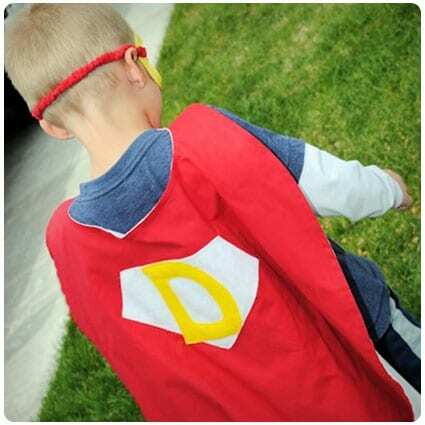 Add this personalized superhero cape to their dressing up box and you’ll have one happy little boy. The ready made ones can be expensive, so making them yourself can help you save money as well as ensuring it’s exactly the way your son wants it.